OK, I am ready to admit it. I no longer have a living room. You know the room, the place where adults can come together and have a glass (or two) of wine and chat. Or even a place where someone can cuddle up with the one they love and watch a movie. 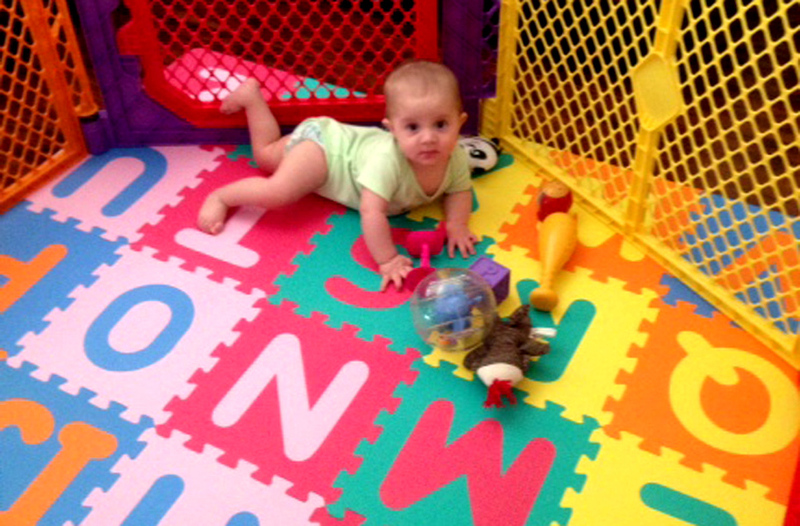 That room ceases to exist in my house, it is now a play room. A room that is always dirty and for some reason, sticky. It is a room filled with toys, and a giant stuffed dog, thanks to my brother, the “fun” uncle. When you have children, toys are inevitable. They will be a part of your life for a long time, so you better get used to them. Now, I am not anti-toy, I know that toys have an important role to play in helping our children grow and learn, but why do they need so many! You can also count on grandparents, aunts and uncles to spoil your child with a lot of toys. Toys your child does not need, but hey it’s all fun! Except that the toys have to come home with us, they seem to forget that part. There will always be toys that parents should steer clear of, the problem is when you are a first-time mom, you don’t always know what toys to avoid until they are already in the hands of your child and there is no turning back once that has happened. Enter me, I am here to let you know which toys are a big NO-NO. They range from “types” of toys to very specific items. Read and take note and memorize this list, so when you are at the store and your child starts begging for a toy, you can confidently say NO! The dollar store is great, it is a great place to get a good bargain. When you are a parent, there are few things we like more than a great bargain. The dollar store may be a great place to get DIY supplies and dish towels, it is not a great place to get toys. The toys are usually meant for much older children, and even than they are not the best quality so I would be concerned about the quality. There was a news story recently about a mom who bought her daughter a “princess” wand at their local dollar store. It was labelled “Evil Stick” (which would have raised my eyebrow, but it was placed among all the other little girl toys. It was a wand that had a silver paper in the center of a large snowflake topper. When you peeled the paper back, there was a picture of a young girl slitting her wrist. Your best bet at a dollar store would be a book, those are safe, right? 14 Anything Noisy, Trust Me! Here is another group of toys to try and avoid. I said try, because it can be very hard, as these are the toys that friends and family like to buy for their kid. That is, any toy that makes any sort of noise. Of course, children love them, and even you may think they are fun at first. That novelty wears off, and the sounds become annoying very quickly. 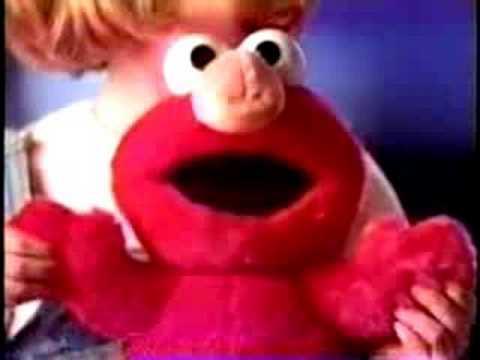 My daughter has a little pink teapot, that I swear when you look at it, it starts singing this annoying teapot song. That is the problem with these toys, they sometimes malfunction and you can not get them to shut up. This is more annoying when they are buried at the bottom of the toy box, and you must dig to find the darn thing to make it stop. I will not judge anyone if you do not replace the batteries when they die. The American Girl dolls are just one example of our next entry. It is best to steer away from any toy that is part of a collection, or part of a large group that includes many different outfits and accessories. This is very smart marketing for a company, but it is not going to be so smart on your bank account. These dolls are very popular among little girls, and I get it, they are beautiful. They are not cheap however. Parents find themselves buying this doll for their daughter, and all of a sudden they have set off an avalanche of needing more clothes and accessories for this doll. Sending them right back to the store to drain even more out of their wallet. 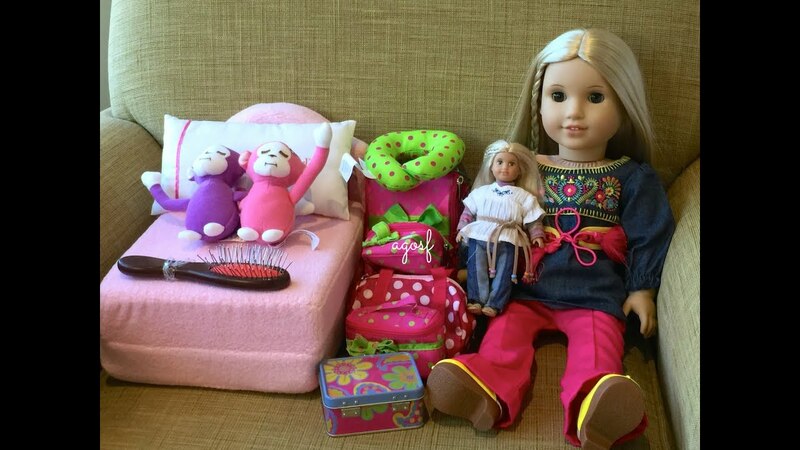 These dolls have everything, clothes, shoes and even beds and pets. I mean, come on, cut us some parents a break with all this! OK, we have covered noisy toys that make a lot of noise when you press a button, but we need to talk about the toys that go off when you do nothing more than walk by. These may be cute for your baby as you watch their reaction when they move or do something to set the toy off. It is not so cute when the toy goes off all the time. This is especially true if the toy is in their room where they sleep. Can you imagine this; you have just gotten your baby to sleep, and you start your ninja sneak out of the room, and then all of a sudden you walk by that really annoying toy that has detected your movement. Now, the baby starts crying and you start crying and it ends well for no one. This is not a good toy. OK, this may not seem like a toy at first, but it will be. If you have one of these types of mats, then congratulations you are probably one of the many who do. It’s OK, you’re not the only one to buy this mat, or have one in your home. The premise is quite clear, it is a colourful, and comfortable floor mat for little babies and children to lay on and play. It is also a safer ground for all the tumbles about to come your way. The problem with this, is that it is going to give you an incredible headache one day. Once your little baby learns that they can move, and tear this thing apart, it is about to get real. You will spend most of your day putting this thing back together again, and it get’s really sticky. Not sure why, but probably due to all the sticky hands touching it all the time. Yup, it exists, an iPhone teether for your little baby. Teething is never fun for any baby, and as parents we are willing to try just about anything to take away their pain, and bring our home a little bit of peace (and quiet). There is a shop on Etsy that sells little iPhones that are meant for your little one to chew on. My question is why? There are many different forms of teething aids out there, I do not know why we need one shaped like our cell phones. In this modern world, smart phones have taken over, and as much as we want to hold off on our children having one, that time may come sooner than later. What we do not need to do, is start this obsession in infancy. This will encourage them to think of smart phones are toys, or even worse, to start chewing on our expensive models. I am not sure I understand this toy, but then again, I don’t understand many of the toys that my daughter owns. The Tommy Egg Box, is a little plastic carton of 6 eggs. You can crack the eggs open to reveal a coloured blob inside. 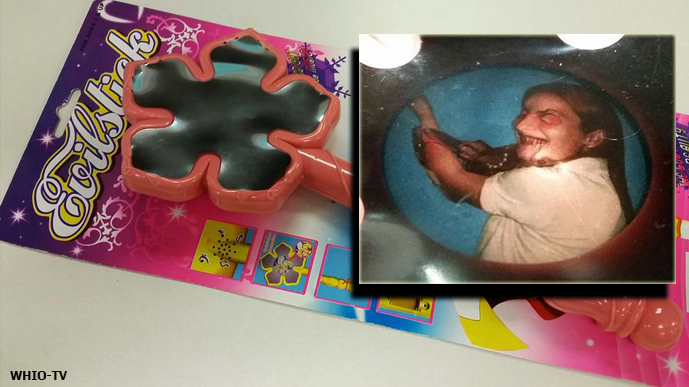 There are many things wrong with this toy, other than the fact that we do not understand its purpose. First of all, it is in a container that is very hard to open, and if your little one falls in love with this toy, be prepared to be constantly opening it for them. Also, the eggs are hard to open as well. I have also learned that any toy that comes with a million pieces will never stay in one place, they end up all over the room and are never a whole toy again. I have also heard that when you step on the egg shells, it is even worse than Lego’s. Wouldn’t it be great if our child had an infinity for music? If they were some sort of prodigy that could pick up an instrument and play it with ease? The truth is, this is not common, but we still try. We buy our babies these cute little musical instrument sets (or family does) and at first it is very cute. They bang on the drums and they make cute faces when they realize they can make sound. The problem with babies is that they love repetition. Once they learn to do something, they want to repeat it over and over again. This is great, as it means they are learning. Not so great when what they are repeating is obnoxious banging on the drums, or blowing into a little trumpet. A better idea is to play them some classical music and have some dance parties. We all have one somewhere in our house, a large and obnoxious stuffed animal. For my daughters first Christmas, my wonderful brother and sister-in-law bought her a large stuffed dog, and I mean large. I do actually love it and it sits in my living room (I mean playroom) neatly tucked in the corner. My daughter actually uses it as like a large bean bag chair. 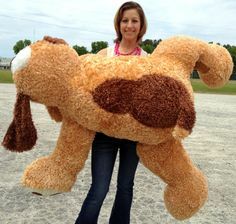 This is the exception to the rule though, these stuffed animals are pretty overwhelming. They are also usually purchased by someone other than the parents. We know that we do not want these in our house, so we don’t buy them. It is easy for someone else to buy them though, since it is not going home with them. Also, you do not need to mention that these are just dust magnets. This may seem like a no brainer, that you not buy a baby anything with small tiny pieces, but it needs to be added here. The problem is, sometimes we buy toys without reading them. It is important to look at the recommended age that is appropriate for certain toys. Even if you think it’s OK, there may be small parts that can break off. The danger of this is obvious, babies put everything in their mouth, and they are bound to choke on it. Anything from Lego’s to Barbie shoes are a big no-no. Also, make sure it is well made, make sure nothing is loose so that your little baby can’t rip pieces off. They will try, trust me. It is always a good idea to do random tests on the toys you already own, as pieces can become loose over time. OK, I bought one of these for my baby, and it was one of the worst mistakes of my life. It is a plastic ball with cute little plastic monster heads poking up from all around it. When you put batteries in it, and figure out how to make it work (this was a challenge), the ball madly vibrates while making a giggle noise. 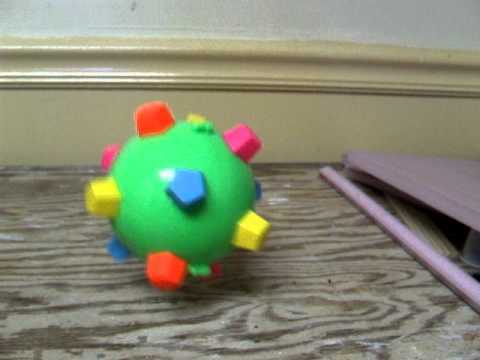 This toy seems cute at first, but after a while it is very annoying and dangerous. My daughter put this thing in her mouth while it was shaking, and the vibrations are so strong I thought it was going to knock a tooth out. Also, it never stops. It does stop after a while, but the slightest touch or breathe on this thing gets it going again. You have to physically get up, and chase the darn thing to turn it off. My daughter does love it though, so I put up with it, thank goodness she is cute. Remember corn popper’s? If you don’t have one yet, you will soon enough. This toy has been around for decades and it always a favourite. It is a walking stick that is filled with little plastic balls that pop when it is pushed. It is a relatively cheap toy, we paid 15 dollars for it, so it is an easy purchase for parent’s, and the kids love it. That is the problem, they love it so much they walk around the whole house with this thing, and will not stop. The problem is the sound. It is very loud, and if you are already having a bad day, this thing is going to send you into overdrive. There is no chance of watching TV when your little one is playing with this toy. The best strategy s to hide it, and only bring it out on days where you are in a good mood. I thought ball pits were one of the greatest toys ever invented for children. That is until I had one. They are very popular, and are usually an inflated pool or tent type structure that you can fill with plastic balls. You place your baby in them, and they have a ball. The problem with these is that these balls never stay in the ball pit. The other problem is that they are inflatable, and they are bound to get punctured either by your baby climbing all over the or biting them. This is my story, we had one and my daughter loved it. She did puncture it and was incredibly sad, so we went and bought her another one (because we are suckers). This new one lasted two days before she bit it and busted it again. I said that we would not buy another one, and now I have a living room full of plastic balls but no pit. I was surprised to hear that this toy still exists and is popular. I remember when it came out and it kind of started a riot, much like the cabbage patch kid dolls. People lined up to buy one, and where heartbroken when it was sold out. I was in a Wal-mart the other day and almost bought one for my daughter and then stopped myself. This is another toy that is charming and cute at first, but after the millionth time of hearing “that tickles” you kind of have had enough and want nothing more than to just throw it out the window. The problem is with these toys, is that they are bound to become your child’s favourite toy that they need to take everywhere and press the buttons all the time. It will haunt your dreams every night. Battery powered toys are very popular, and obnoxious. It seems that all toys these days come with batteries, they all need to make some sort of noise or light up like a disco ball. These are the bane of every parent’s existence. At some point, batteries die, and we have to replace them. This is a lot harder (and annoying) than you would think it would be, and let me tell you why. First, most battery compartments in toys are shut with screws, so now I have to find my husband’s screwdriver and try and open the darn thing. Then there is the case of if I actually have any batteries to put in the thing. If I don’t, you better believe my child is throwing a tantrum because I can not make their toy ‘work’ again. So, I have to load the child up and run to the store, and then sure enough by the time I get the batteries in there, they want nothing to do with the toy again.